The City of Casey and Cardinia Shire Council would like to thank the Casey Cardinia Business Awards 2019 major partners. 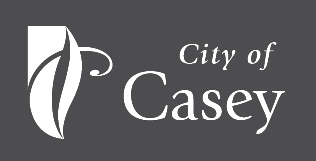 Council values their contribution and support in recognising the achievements of the business community throughout the City of Casey and Cardinia Shire Council. Pitcher Partners is a full service Accounting, Audit and Advisory firm that specialises in assisting private and family owned companies achieve their business goals. Many of these fantastic businesses are located in the City of Casey and Cardinia Shire Council and we are proud to celebrate their achievements. As Melbourne's leading firm specialising in the middle market, we have particular expertise and understanding of issues relevant to businesses in Melbourne's South East and are proud of our association with the Casey Cardinia Business Awards. Federation University Australia, founded in 2014, is the result of bringing together two leading education institutions, the University of Ballarat and Monash University’s Gippsland Campus. With a reputation in excellence, FedUni has a proud history in the delivery of education and training spanning more than 145-years. Regional in focus, national in scope and international in reach, FedUni is committed to innovation, student-centre leaning, social equity, quality teaching and outstanding research. Our commitment to community engagement, environmental sustainability and commercial enterprise underpins our success as one of Australia’s most progressive regional universities. Our campuses are located in Ballarat, Berwick, Gippsland and the Wimmera. Zeemo is a creative marketing agency conveniently located in Narre Warren. We have been working with businesses seeking a collaborative and effective approach to their marketing communications for over 15 years! Through detailed planning and innovative strategies Zeemo helps businesses build an engaging brand presence across both online and offline channels. We focus on measurable outcomes for all of our campaigns. Our clients are a bag of all sorts; different sizes, from many industries and located around Australia. Some of Zeemo’s high profile clients include Hinkler, AMP Financial Planning, AXA, State Government Victoria, ARRA Accommodation Group and Budget Motel chain, to name a few. Zeemo is really excited to get on board with the Casey Cardinia Business Awards for the first time this year! Bendigo Bank - Community Bank branches runs five Community Bank® branches of Bendigo Bank within the Casey-Cardinia Region. The Community Bank® model aims to keep banking local by not only supporting the financial goals of their customers but also to support the development of the communities they reside in and with a network of cross 313 Community Bank® branches across Australia the work they do is high impact. Throughout our 20 years of operation our five branches have invested over $7million dollars back into our region which directly impacts those living within the community. These investments have gone towards a variety of different areas including sport, recreation, education, youth services, aged care, disability support, environmental causes and much more. The work that the Community Bank® branches do within our communities could not be achieved without the support of our customers, the support they provide enables us to invest our profits back to directly influence you in a positive way. If you’d like to hear more about our branches and how we could support you, your business or local organisation please contact lauram@ourcommunitycompany.com.au or visit our website. 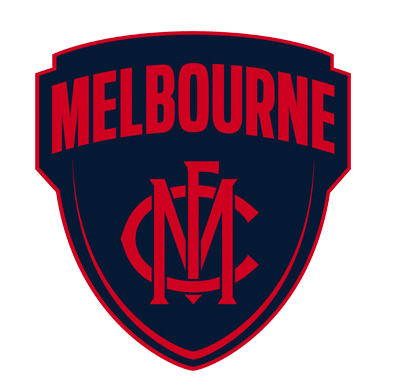 The Melbourne Football Club, nicknamed the Demons, is an Australian rules football club, playing in the Australian Football League. It is named after and based in the city of Melbourne, Victoria, and plays its home games at the Melbourne Cricket Ground. Interested in sponsoring the Casey Cardinia Business Awards? The City of Casey and Cardinia Shire Council invite you to participate in the Casey Cardinia Business Awards. The Casey Cardinia Business Awards celebrate the excellence, success and innovation of the region’s business community. They are the Casey Cardinia region’s flagship business activity for the year and build upon the strong regional partnership between the City of Casey and Cardinia Shire Council. This is an excellent opportunity to raise the profile of your own business/organisation, whilst communicating directly with potential customers and supporting business initiatives, growth and excellence in the region.